Home » Gaming » Legacy of the First Blade: Abandoning Choice for Story? Legacy of the First Blade: Abandoning Choice for Story? Those of us who have played and enjoyed Assassin’s Creed Odyssey all know that choice is a hugely integral part of this game. All throughout the game’s marketing campaign and up through launch day, Ubisoft has lauded player choice and billed it as a core component (and selling point) for this chapter in the Assassin’s Creed saga. This title definitely gives players far more choice in how they shape Alexios/Kassandra in a variety of ways – both subtle and overt. However, there has recently been some backlash against Ubisoft, for a design decision that was made in the DLC for this game (known as Legacy of the First Blade). Episode 2: Shadow Heritage has been accused of ignoring the choices made by some players – specifically those who have chosen to roleplay their protagonist as homosexual. How, you ask? Well, let me lay it out for you. In this episodic DLC, your character meets an old man by the name of Darius. Those who have played the previous chapters in the franchise may remember that he is one of the earliest proto-Assassins, responsible for the death of Xerxes I of Persia. Well, it turns out that Darius has an adult offspring, whose gender is dependent on who your protagonist is. If you play as Alexios, Darius has a daughter named Neema. If you play as Kassandra, Darius has a son named Natakas. Darius’s child plays an important role in the timeline of the Assassins, as at the end of this DLC chapter, your character and Natakas/Neema have a child; thus perpetuating the Assassin bloodline. It’s unavoidable. While you can rebuke the romantic advances of either NPC, the end result never changes. Your character ends up as a parent, all for the sake of plot. So herein lies the issue that some gamers have: Assassin’s Creed Odyssey allows players to not only choose the gender of their protagonist, but the character’s sexuality as well (although we all know that sexuality isn’t really a choice). After some of us gamers have spent upwards of 100 hours roleplaying a character as gay or asexual, the plot has forced an abandonment of that, and pushed forward with a heterosexual mating to produce a child. This is where things get dicey with the community. Many gamers have expressed irritation that Ubisoft has backpedaled on their commitment to choice and to representation of all facets of society. However, there’s a continuity issue that comes into play here, which most likely is what influenced this decision of theirs. Alexios & Alkibiades getting their flirt on. Throughout the Assassin’s Creed lore, it has been implied that the main Assassins in our story (i.e. those who can utilize Eagle Vision) who are all descended from the two humans – Adam and Eve – to escape from the slavery put upon them by Those Who Came Before (aka The First Civilization), through the use of the Pieces of Eden. Therefore, in order to pass this ability and the appropriate DNA down through the ages, it would require the propagation of the Assassin (First Civilization?) bloodline. We saw an example of this in Assassin’s Creed 2, when Desmond relived the memory of Altair making love to the Templar Maria Thorpe. So, from a purely biological standpoint, the decision by Ubisoft to include this bit in the games makes sense. Kassandra (or Alexios) passes on their genes to the next generation, so that the abilities stored within them can continue “the bloodline”, ultimately resulting in the characters who make up what we now know as the Assassin’s Creed story. Yes, representation is very important in our fandoms. We here at PCU have talked about this at length many times. On some level, all of us who watch movies & tv, play video games, read comic books, and/or play tabletop games want characters with whom we can identify on a deeper level. Still, in the case of this DLC, we all know that the Assassin bloodline must be carried on. We also know that, realistically, there’s only one way that that can happen. A child must be conceived by a character who carries the correct genes and DNA. Is the decision made by Ubisoft immersion-breaking? Probably. It does ignore the social customization options that they had designed into this game. Is it wholly incorrect for the sake of the franchise, though? Not really. Could this have been done differently? It’s hard to say. Maybe the Assassin line could’ve continued with Darius’s child and your character’s sibling… Still, that may not have felt as impactful and immersive as your own character carrying on the bloodline. In order to keep the feeling of importance with whichever protagonist you chose to play as, it would seem that going this route made the most sense when looked at from the perspective of continuing the overarching story. All is not bad, however. Jonathan Dumont, the creative director of Assassin’s Creed Odyssey recently issued an apology for the team’s decision on one of Ubisoft’s forums. Saying that the company “missed the mark”. Remarking that the goal for this was to “let players choose between a utilitarian view of ensuring [their] bloodline lived on or forming a romantic relationship”, Dumont admitted that the “clarity and motivation for this decision was poorly executed”. He also gave players some reassurance about the choices in the next episode of the Legacy of the First Blade DLC, entitled Bloodline. 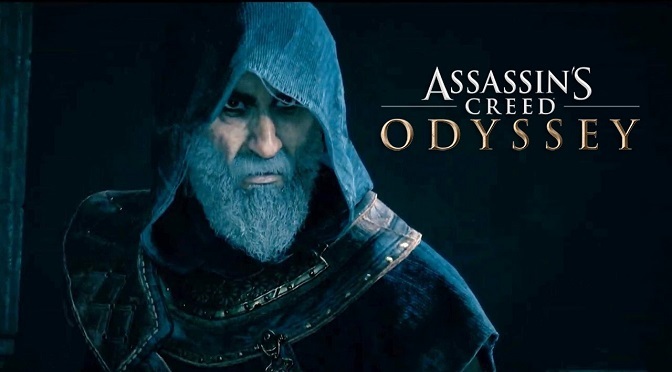 Signing off with the statement, “We’ll work to do better and make sure the element of player choice in Assassin’s Creed Odyssey carries through our DLC content so you can stay true to the character you have embodied throughout”, it would appear that Ubisoft is really taking players’ comments to heart, and that they are striving to do better (frankly, I’m just glad we didn’t end up with another Mass Effect 3 scenario). Let us know your thoughts about this development with Legacy of the First Blade, dear readers. Does this color your perception about Ubisoft or about the Assassin’s Creed franchise? Why or why not? Leave us a comment down below!